Finch Therapeutics has won a breakthrough designation (BTD) from the FDA for CP101, a drug for serious Clostridium difficile infections based on a mix of gut micro-organisms. 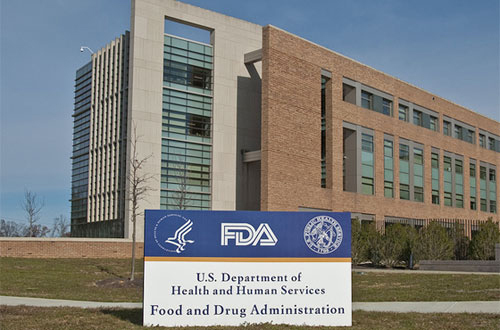 The BTD means Finch will have closer contact with the FDA as it ushers CP101 though late-stage development, with an accelerated review that could give it a boost as it tries to bring the drug to market ahead of rival microbiota products from Ferring/Rebiotix and Takeda/NuBiyota. CP101 is currently being studied in the PRISM 3 trial for recurrent C. diff infections, which is enrolling around 200 subjects at clinical sites in the US and will compare a one-off dose of the microbiota capsule to placebo. Results are due sometime around the middle of this year. C. diff infections are generally not life threatening and can usually be treated effectively with antibiotics, although in some patients such as those with compromised immune systems they can be much more serious, leading to damage to the bowel or severe dehydration. Some patients also suffer repeated infections despite current treatments, and in the US the infection kills around 29,000 people out of an estimated half million cases each year. The idea behind CP101 and similar therapies is that rather than dosing antibiotics to kill C. diff – along with other beneficial bacteria in the gut – they can be used to restore the balance of the bacterial colonies or ‘microbiome’ that naturally populate our bodies. Led by CEO Mark Smith, the company also has a two-year-old deal with Takeda to develop a microbiota treatment for irritable bowel disease (IBD). In 2017, Rebiotix reported positive results from an open-label trial of its candidate RBX2660, which is given in two separate doses a week apart, showing that it seemed to reduce the rate of recurrence and boding well for the outcome of its own phase 3 programme. The Minnesota-based biotech, which was acquired by Swiss drugmaker Ferring last year, has been awarded a BTD for its therapy and is also due to generate results around the middle of 2019, setting up what could be a close race to market with CP101 if both studies are positive. NuBiyota’s programme seems to be a little further back in development, although the company has been operating in stealth mode and there is little information available on the project. Takeda bought into the programme in 2017, and is also partnering with Finch on microbiome therapeutics for inflammatory bowel disease. Other emerging strategies for the prevention of C. diff recurrence include antibodies like Merck & Co's recently-approved Zinplava (bezlotoxumab) – which works by neutralising toxins secreted by the bacterium – and prophylactic vaccines, such as Pfizer's PF-06425090 and Sanofi Pasteur's ACAM-CDIFF which are both in late-stage testing.